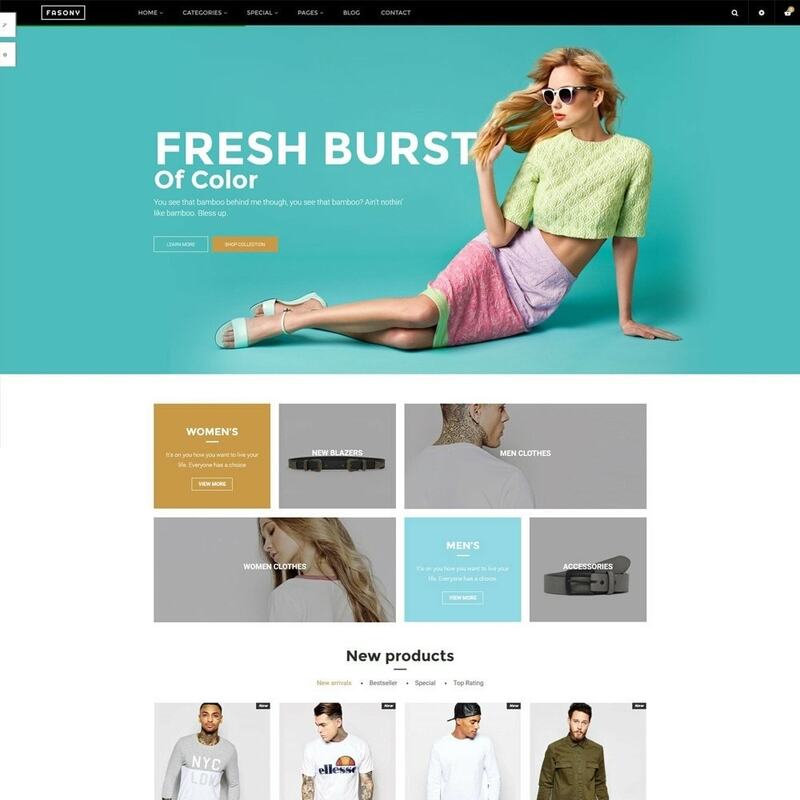 Fasony is new Prestashop theme in our Multi-purpose Prestashop themes series built with the outstanding Prestashop Framework and Prestashop Drag and Drop Page Builder to build stunning pages in minutes. 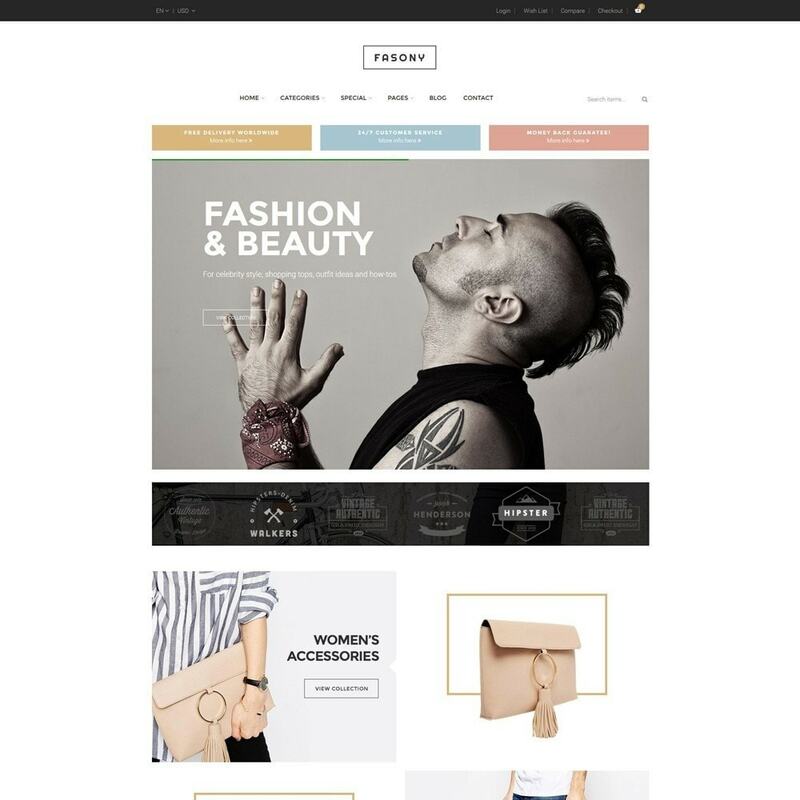 Fasony is new Prestashop theme in our Multi-purpose Prestashop themes series built with the outstanding Prestashop Framework and Prestashop Drag and Drop Page Builder to build stunning pages in minutes. 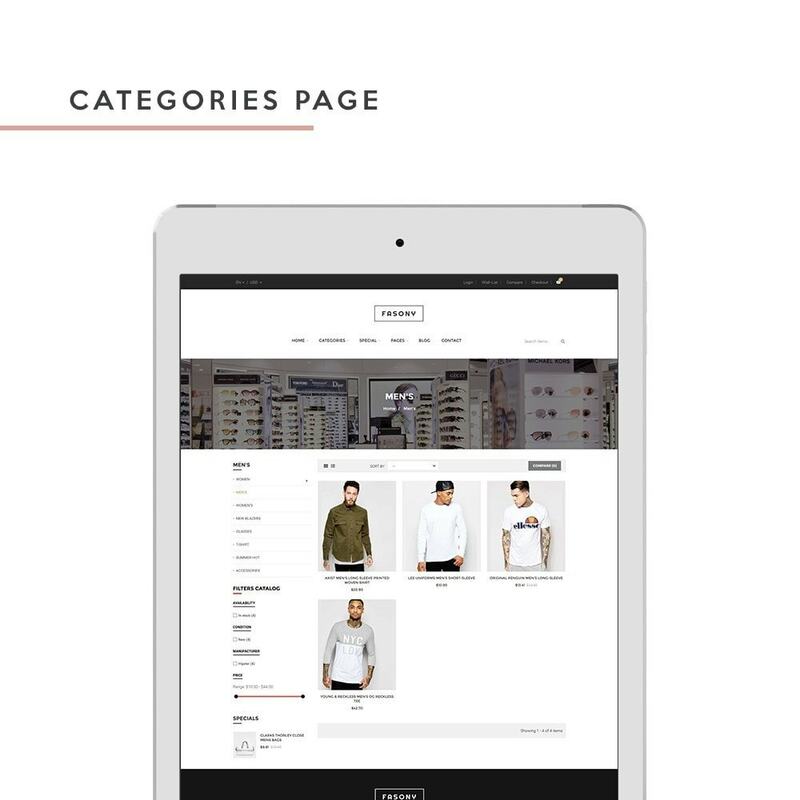 The creative & professional design represents products in great way. 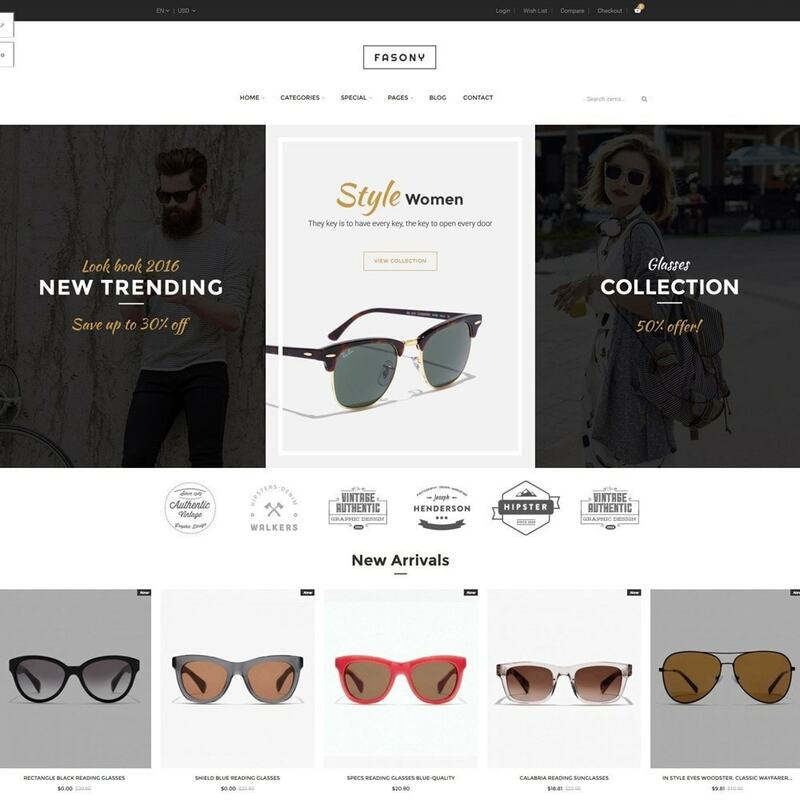 The brilliant slideshow make your site impressed with beautiful outlook and animation. 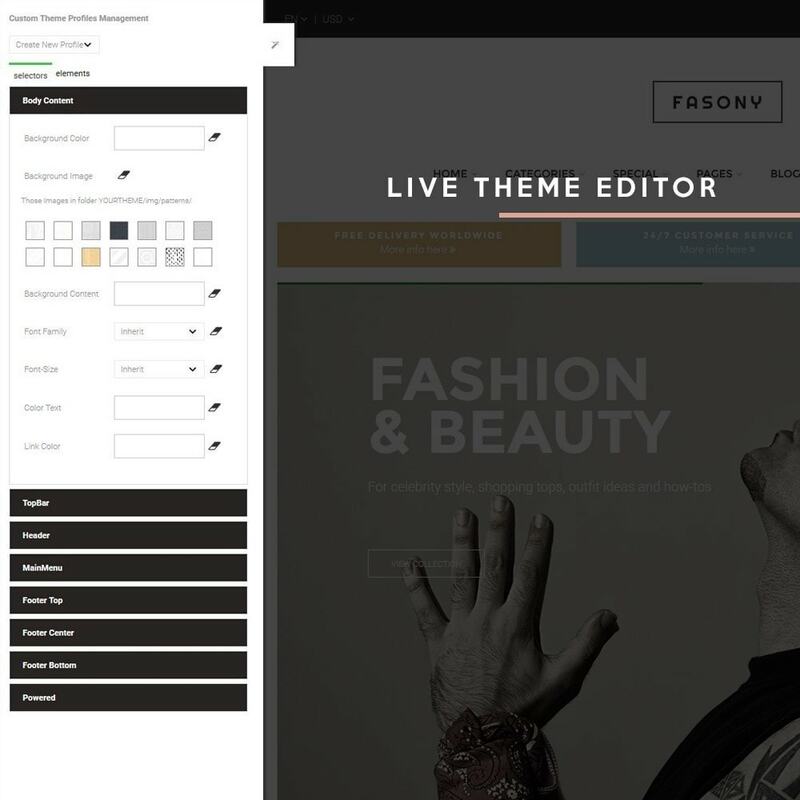 Fasony is powerful theme, it has intuitive theme control panel that includes all necessary built-in options and tools: megamenu builder, layout management, theme setting, compression, etc. 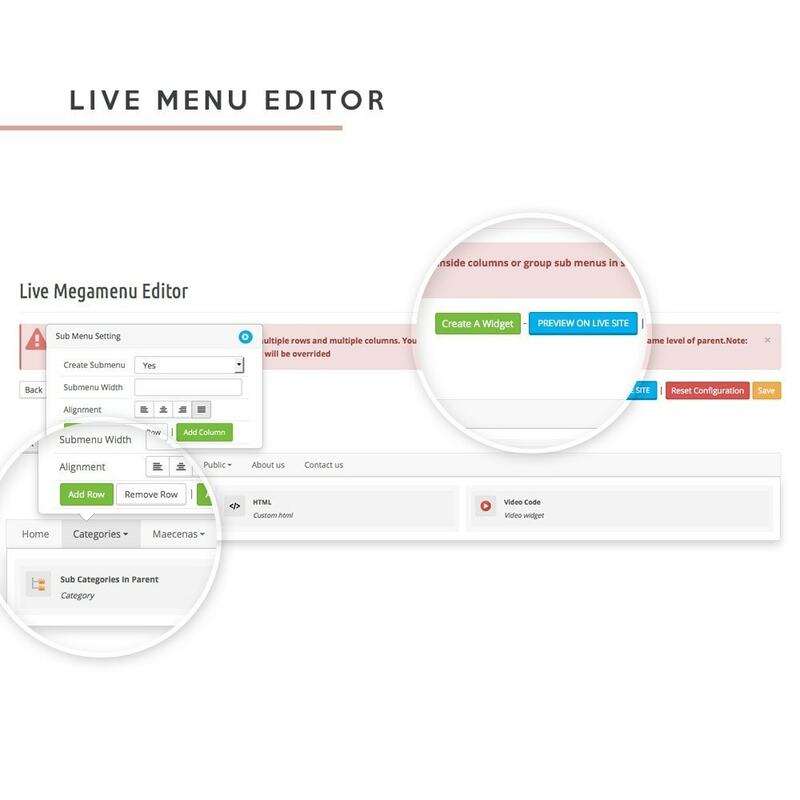 The Live theme editor allows user to customize theme real time based on predefined parameters. 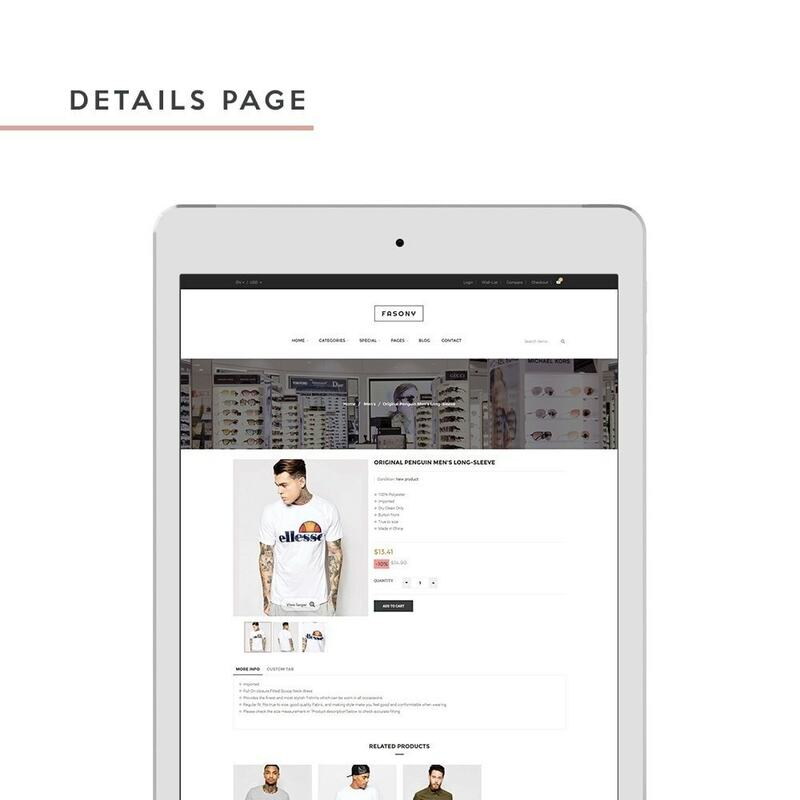 Fasony includes the No hacking core prestashop codes to help secure your store. 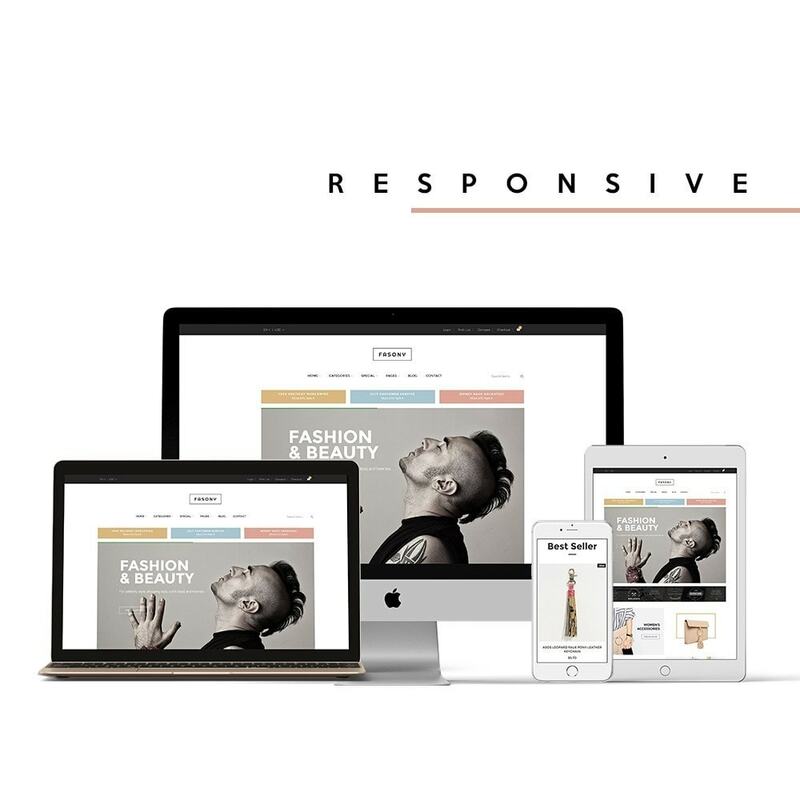 The theme is optimized to improve performance of your site.